Welcome to the Itasca Gun Club web site! For updates on range closures, please check the Calendar. Updates to the calendar occur at night, so checking mornings is the best bet. 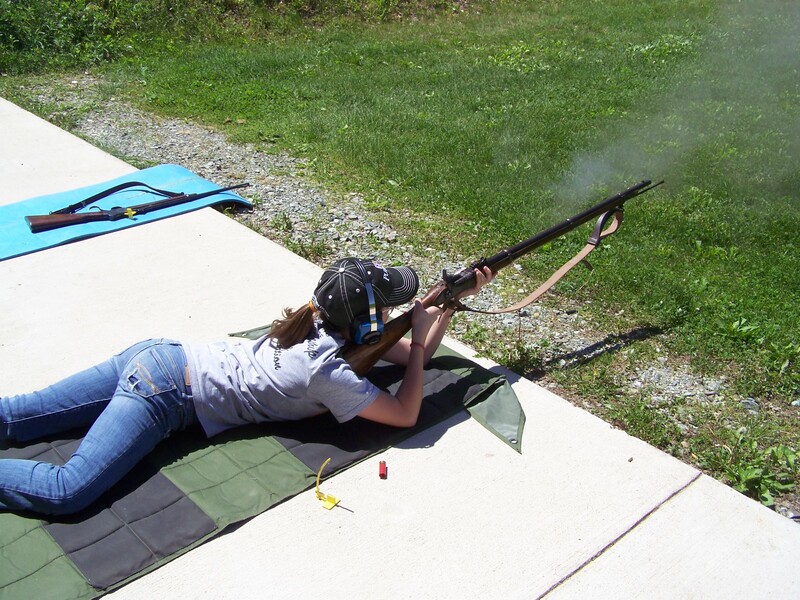 Itasca Gun Club's summer programs are starting! Itasca Action Pistol, Itasca 3 Gun competition, Service Rifle and 100 Year Old rifle matches are on the calendar. All these events are open to club members and the public. Each event has a small fee, ranging from $5 to $20. 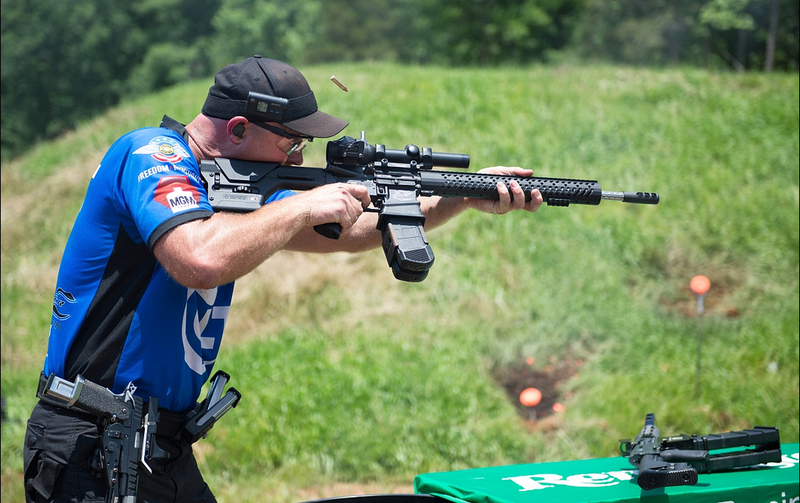 All of the shooting programs at IGC are 100% volunteer led. People volunteer to run the programs, set up targets and stages for each match, and generally put in a lot of work to make these programs available to you. If you have some time to help set up and clean up before and after matches, please speak up while you're there, or use the calendar links to find contact information. Itasca Action Pistol is a weekly event, Thursday evenings. You can attend all of them, one of them or just show up on the weeks that work for you. Bring your own pistol, hip holster, magazines, ammunition and eye and ear protection. There's a list of equipment needed and what to expect on the Action Pistol page. Itasca 3 Gun matches will be held once each month on Saturdays. It's the same concept - attend one, some, or all of the matches. You'll need a pistol, magazines and ammunition and eye and ear protection. You'll also need a semi automatic shotgun and semi auto rifle, but you can borrow one if you need to. Read more about equipment on the 3 Gun page. Service Rifle matches are once a month on the third Tuesdays. 100 Year Old Rifle matches are also the third Tuesday of each month, and are held between the two Service Rifle matches. You need to bring your own rifle, manufactured at least 100 years ago, and ammo. The existing clubhouse and indoor range will remain open and operational until the spring of 2019. IGC has been in discussions with the MN DNR to extend the club’s lease at that property, allowing us to continue using the indoor facilities for the foreseeable future. We will move the clubhouse over to the new range on Prairie Lake Road and begin site clean-up at the old location. This past fall, there were three things that were accomplished at the new range. 1. The concrete has been poured for the 50 yard pistol range firing line. The shooting structure has been moved into place on the concrete, so there's now overhead cover. No more shooting in the rain! 2. Contractors have completed the underground plumbing work, and the concrete building slab for the classroom/clubhouse relocation has been poured. Handgun carry permit classes are taught twice a month by Certified Itasca Gun Club instructors. Check the Calendar for dates and information. You can join Itasca Gun Club for only $30 a year, $18 for seniors, as a family membership. The outdoor range hours are 08:00 until 1/2 hour before sunset. People live in the area, and we want to remain good neighbors by not making noise too early or too late. Tannerite and similar explosive targets are banned at this range, due to insurance requirements. Be careful driving out to the range in the winter or muddy periods. Don't exceed safe speeds for the existing road conditions. Do NOT shoot at rocks or target frames. Rocks create ricochets, and people build the target frames for your use. If you damage the frames or target holders, someone has to spend the time and cost to repair them. Be a responsible range user. There are multiple slide shows of range construction efforts on the "Range Relocation" tab above. There's a new slide show as of Oct 17 2016 here. While the range is open to members, please check the club calendar before you head out to make sure that the range is not temporarily closed for construction, training or scheduled shooting events. Looking for a Pistol Carry Permit Class? Certified Itasca Gun Club Instructors teach Minnesota Carry Permit Classes at least once a month at our indoor range and classroom. The cost is typically $75 for a one day class that meets all the requirements of the Minnesota Bureau of Criminal Apprehension. Check our Calendar for class dates and times. Information about carry permits is on the same page as the classes. Here's more information on Minnesota and Florida Carry Permits. Looking for Fun Long Range Shooting? The Itasca Gun Club of Grand Rapids, Minnesota is an all-volunteer, 501(c)4 non-profit corporation. Our facilities include a clubhouse/classroom that can seat up to fifty, an indoor pistol and smallbore range, and outdoor rifle and pistol ranges. We host a number of types of classes - click the Calendar tab above to see upcoming events or change the calendar to a "list" view. The club has relocated to a new site about a mile away from the old range. The new outdoor range will include two pistol ranges, a smallbore range, a 300 yard rifle range and eventually a 1,000 yard rifle range. The indoor range at the original site will be open until the spring of 2018. Please check the "Range Relocation" tab above for maps, layouts and information on range design and construction. Click the "Calendar" tab above to view the full list of upcoming events. You can choose to see it as a list or as a calendar. May brings the start of all the summer shooting program options at the Itasca Gun Club. These are open to members and the public. Check out the calendar on this page to find options you might be interested in.